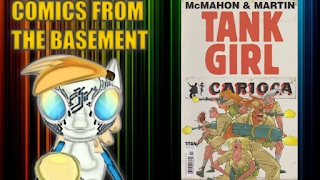 The first comic book review of the year concludes my look at the three part Tank Girl Carioca mini-series from Titan Comics! For those wondering why do I include this section, it's because I know not everyone checks out the video when they come to a 'blog site'. A recap of the story so far: Tank Girl went on a game show, got humiliated by the host, killed the host, felt bad, and declared to change her ways, the game show’s wife wants revenge sends out bounty hunters and now T.G. is in a world of trouble! The final chapter, opens right where issue 2 left off, with T.G. is actually floating above her enemies as they try to pull her down…but ends up dispatching her foes with ease… and ends up recruiting Electric Les after he saw what she could do, and she could teach him to channel his anger and turn it into a positive force, while also declaring to deal with U-Leen Happy once and for all… but not before coming across Jet Girl’s crashed plane. Using her abilities, T.G. and project herself to where Jet Girl’s new residence, where J.G. tells T.G. she couldn’t handle her acting like a total knob-stick, but ends up suiting up to assist in taking out U-Leen. After getting some weapons, T.G. and her crew crash U-Leen’s new beer factory, take out her last few bounty hunters with J.G. arriving to put the final bullet in U-Leen, Big celebration, with T.G. Booga going to J.G’s home to crash where it turns out Andy from the first issue is now the new host Quiz Bingo with Barney (another member of her posse) as his assistant, and T.G. is satisfied with the results while joking about signing up as a contestant. 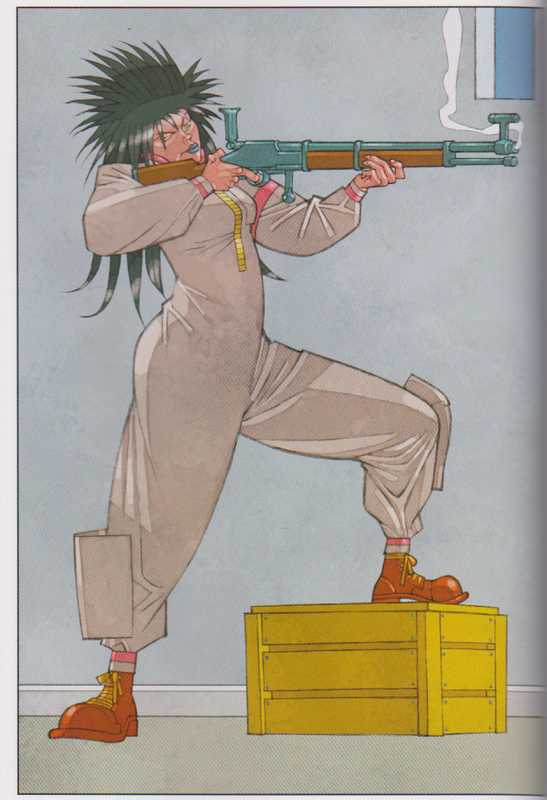 However… spreading out reading all three issues left me feeling a bit unsatisfied considering Tank Girl’s epiphany about her life and vow to try and change a bit, in the end it’s just take out who pissed her and get back to life as usual. 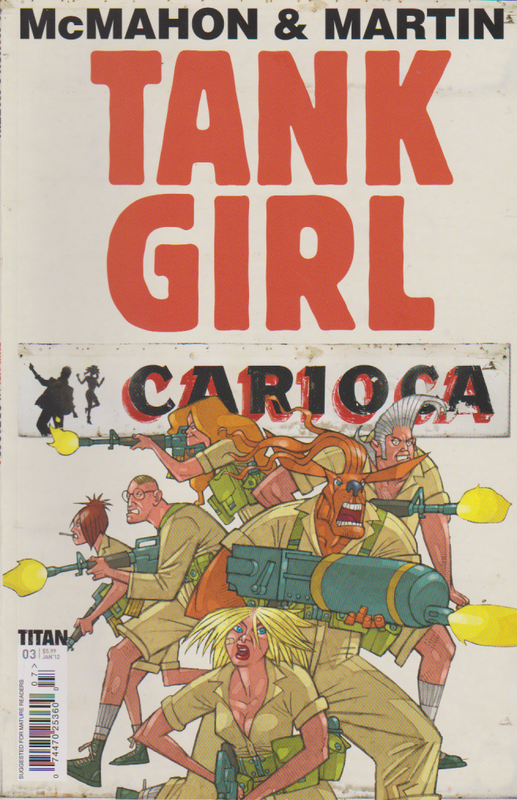 The other thing is though some stories could be accused of padding, with Tank Girl: Carioca, that isn’t the case, the story is straight forward and brisk, and that may be biggest issue with it, that it was just ‘too quick’ a tale and feels like it could’ve been told in one issue. 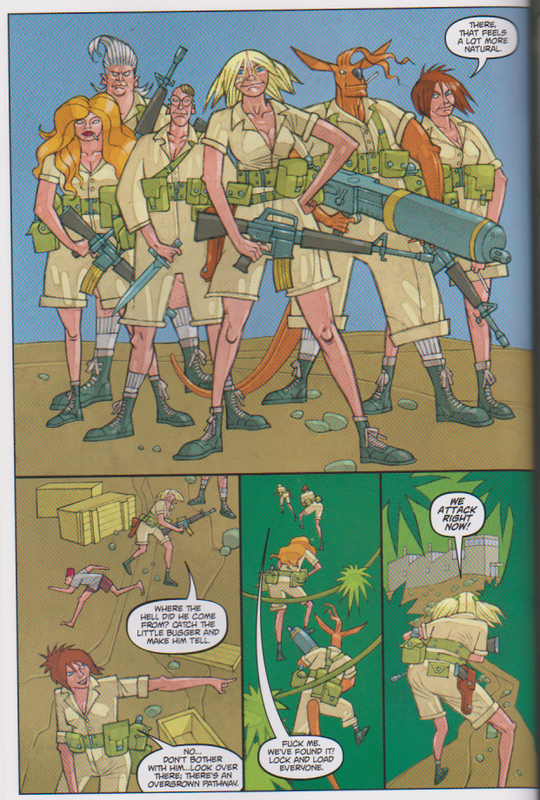 After reading all three issues separately, I got the vibe when it comes to Tank Girl, I should just get the ‘trade collections’, which of course is something that could apply to just about any ‘mini-series’, wait for the trade collections. So with that said… we’ll wrap this review up… now next week…. Chaos is a foot… and we’ll need to get ready… get tough…. would you believe... We got to Get Smart! That's right we're going back to the 60s with Don Adams as Agent 99!